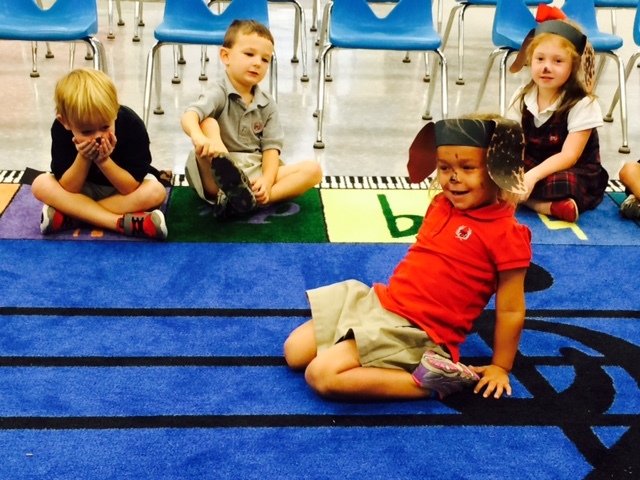 In PreK-1st grade, we've been talking about musical opposites the past few weeks. We've talked about high and low, fast and slow, and this week it was loud and soft. 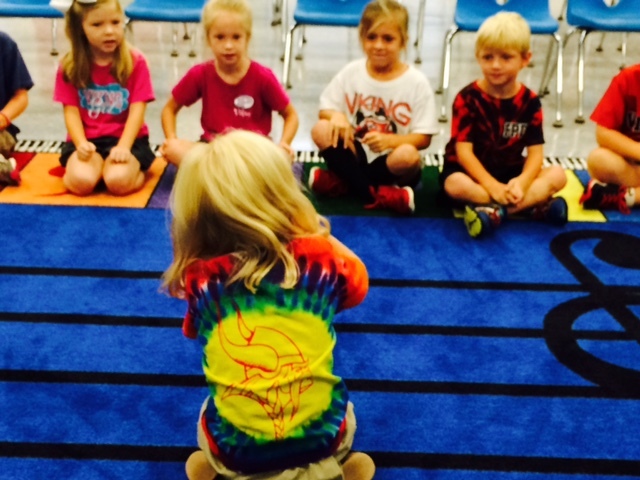 First graders learned the musical terms "forte" and "piano" to describe loud and soft music. All grades learned a song with loud and soft and got to play a fun guessing singing game. This is one of my all-time favorite activities to do with the little ones--it's just so much fun!! The song is called "Grizzly Bear." During the course of the song, we sneak up on a hibernating bear and wake him up. When we act it out, our sleeping grizzly gets tapped awake by another student. Upon awakening, the grizzly has to guess who tapped him or her. It's a lot of fun and really cute to watch! Below, you'll find pictures and videos of the game in action from Mrs. Hinson's class and Mrs. Rutledge's class. We started out our 2nd grade classes this week doing a folk dance that is believed to come from Russia called "Sasha." Sasha is a nickname for the Russian name Alexander or Alexandria. We got to count to three in Russian--"ras dva tre"--and do a fun partner hand clapping game to practice the steady beat. Here are some pictures and videos from various classes performing "Sasha." This is a folk dance that is truly fun for ALL ages! 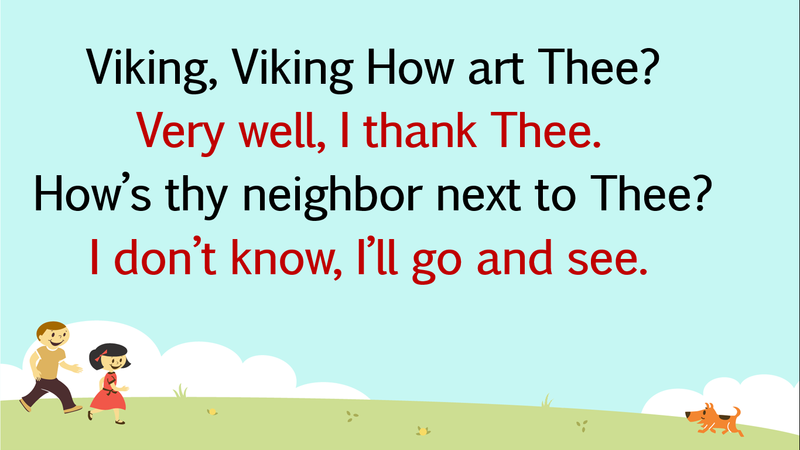 Also this week in 2nd grade, we learned a new song in question and answer form called "Viking, Viking." (It's traditionally called "Quaker, Quaker," but we make good use of our school mascot in this one!) We first learned where all our Sol, La, and Mi notes lived in each line. Then, we took turns using Mrs. Krejci's box of animal "neighbors" to sing solos. The class sang the question, and each student chose an animal neighbor to sing the answer. And, the students didn't know it, but this gave me a great time to do a beginning assessment for solo singing and pitch matching :) This one is always lots of fun! Here are some pictures and videos of the game in action. On Sunday, September 14, our National Anthem turns 200 years old!! I talked about the event on the announcements this week, and grades 2-4 studied the history a bit more in-depth in music classes. The "Star Spangled Banner" actually has a very interesting history! Perhaps as a family you'd like to do some more investigating. I'll give you a few resources in a minute. They shots rockets and cannons for 25 hours! The battle ended at dawn on September 14, 1814. Francis Scott Key, a Baltimore lawyer was being held on a British ship during the attack. He was so inspired by the sight of the flag being raised at dawn (the star spangled banner, he called it), he wrote the poem which would become our national anthem on the back of a letter he had in his pocket. The "rockets red glare/the bombs bursting in air" gave Francis Scott Key hope through the night "that the flag was still there"--meaning, that the American military had not surrendered. The "Star Spangled Banner" is actually 4 verses long, but only the first verse is really ever performed. It became our National Anthem by congressional resolution in 1931. Pieces of the original flag that flew over Fort McKinley during the battle are still on display at the Smithsonian's National Museum of American History in Washington, DC. The original song that Key set his poem to, "Anacreon in Heaven" This version includes a harpsichord! The Army Field Band performing the National Anthem at a concert in 2010. A very detailed article by the Smithsonian Institute about the War of 1812 and the "Star Spangled Banner." 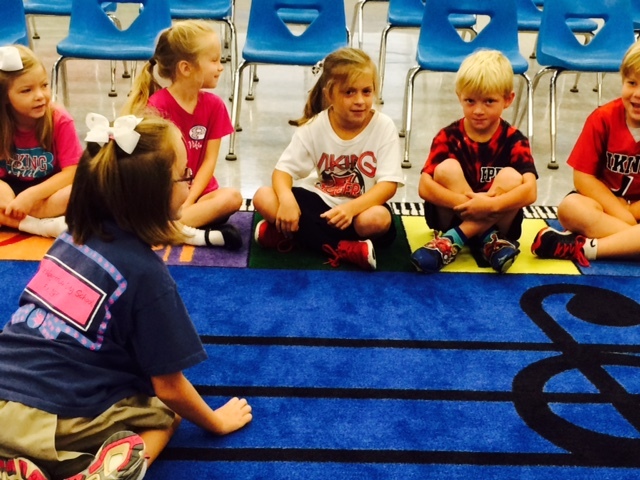 We are off to a terrific start in the music room this year! 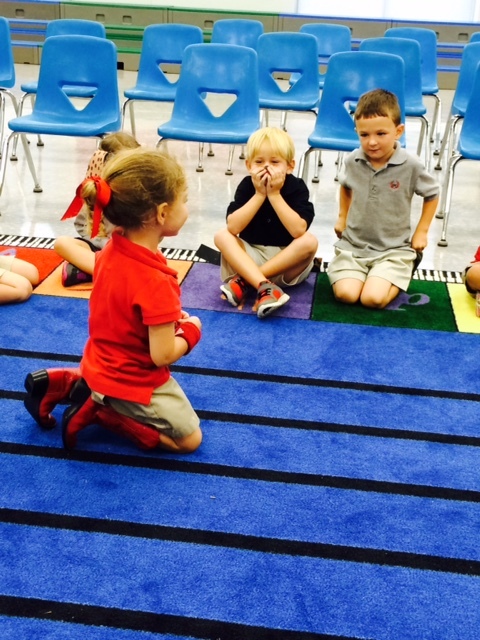 Grades 1-4 have been learning instruments the past few weeks. The excitement for 4th really intensified when they got to take their recorders home last week. This week, we started using the Quaver interactive recorder music. We play along with music videos with our recorders. The pictures and video below are of a class performing the song "Walk Like a Mummy"--we actually got to showcase our very own "mummified" walks in the interlude. Reminder: the Recorder Resources tab on my blog has all the music and info for these students to play at home! 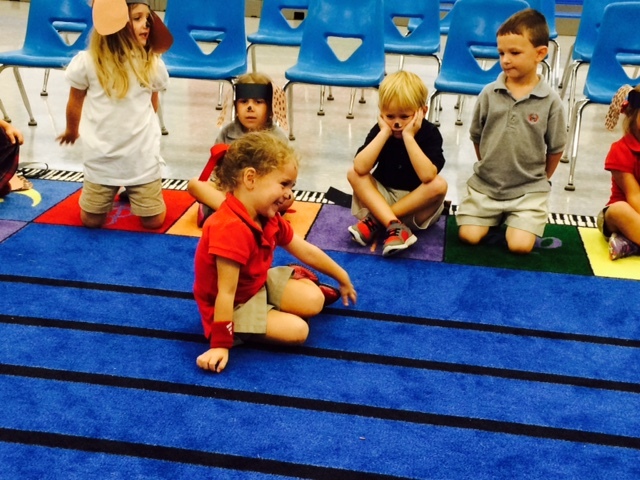 Students in 1st-3rd started an instrument program this week called "Mallet Madness." Each grade does a similar set-up, but has varying levels of difficulty. This instrument focus is all on the Orff keyboard instruments--xylophones (wooden bars), glockespiels (bell-like quality), and metallophones (metal bars). We've been going over the 3 Bs of mallets--bicycles, bounce, and bellybuttons. Ask your child to see if they can tell you what those 3Bs mean! The neat thing with Mallet Madness is that everyone plays all the time AND we rotate instruments! We have really been learning about what it means to be on a team and have respect for each other. And, we've been making cool sounds! Below are pictures of our set-up and a video of a 1st grade class demonstrating the "Hands Together" technique. 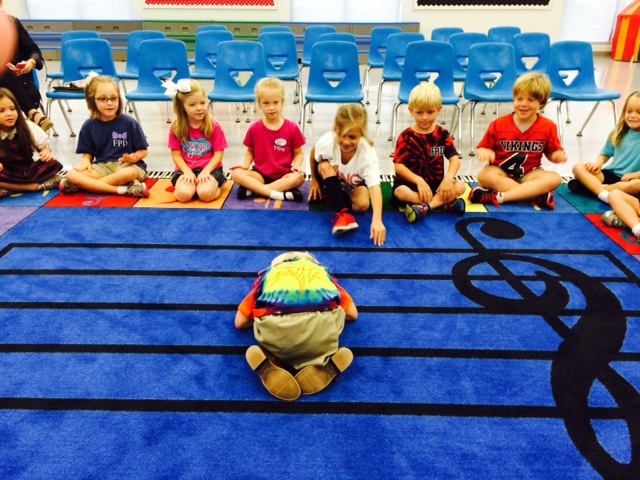 1st Grade Musicians and Their Creations!